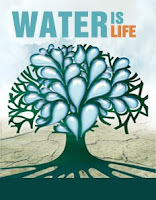 I will be attending the International Congress on Production of Safe Water, January 21-23, 2009, Izmir, Turkey. My talk title is "Pollution Magnet: Nano Magnetite for Arsenic Removal from Drinking Water"
There will be well known scholars of arsenic research (such as Arup K. Sengupta, Lehigh University) and poster sessions that reflect current technology for battling arsenic contamination in water resources. This conference is very timely and beneficial to the people of Turkey, and will help motivate scholarly activity as well as public consciousness.